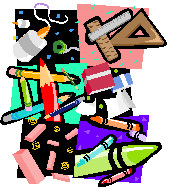 The August Giving Tree ministry will be for school supplies. Working with Oxford-Orion FISH, donations of money and school supplies will be collected during the month and dedicated on Sunday, August 29th. These donations will be delivered to FISH for distribution to families who cannot afford to buy school supplies.